Each State/territory has its own occupation list which is broader than the Skilled Occupation List. An applicant granted this subclass is required to live in the regional part of Australia if sponsored by a state or relative under which their nomination was approved. The States of South Australia, Tasmania and Northern Territory are all considered regional including their capital cities. Other states such as NSW, Victoria, Western Australia and Queensland have regional areaswithin their states which are defined by postcodes; their capital cities are not considered regional. • You meet the required points for the visa you intend to lodge (60 points is the minimum). • Points are comprised of a number of factors such as age, qualifications, English fluency, work experience in Australia and overseas, qualifications obtained in Australia, state sponsorship. • Your age must be between 18 and 49 inclusive. Different points are awarded to different age groups. • Able to pass a skills assessment (valid for three years) of your qualifications. • Undertake an IELTS (English language) test (valid for three years), with a result of minimum of 6/9 in each of the four bands. • Do an IELTS test to ensure you meet the English requirements. • Lodge your Expression of Interest (EOI) – The EOI is a system which gives the Government the tools to prioritise and rank prospective migrants in order of merit, selecting the ‘brightest and best’ migrants and/or candidates to fill labour market shortages. It also gives the Government the tools to tweak the type of occupations most needed, curb those occupations where there are too many applications and manage the general mix of occupations accepted in each program year. It is important to understand that an Expression of Interest (EOI) isnot a visa application and will not result in a bridging visa in Australia. Furthermore, any claims made in an EOI which cannot be substantiated in a visa application, for example, English fluency, qualifications, work experience, will lead to a refusal of the visa application. 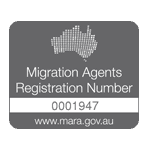 • Each state or territory government has their own short supply occupations list, which is much broader than the Department of Immigration Occupation List. There may be specific requirements in terms of work experience, English language ability, financial capacity. • An applicant granted this subclass is required to live in the regional part of Australia under which their nomination was approved. • The states of South Australia, Tasmania and Territories of Northern Territory and ACT are all considered regional including their capital cities. Other states such as NSW, Victoria, Western Australia and Queensland have regional areas within their states which are defined by postcodes; their capital cities are not considered regional. • Once you have lived in that state or territory for two years and have worked for one of those years, you can apply for permanent residence under subclass 887. • The applicable occupations list if sponsored by a relative is the same as the list for the Skilled Independent visa. • Anywhere in Victoria, South Australia, Northern Territory, Tasmania, Australian Capital Territory. • New South Wales: Postcode areas 2311-2312, 2328-2333, 2336-2490, 2535-2551, 2575-2739, 2787-2898 (anywhere except Sydney, Newcastle and Wollongong). This visa is a provisional visa, allowing applicants to remain in Australia for 4 years which include full work rights. It is a stepping stone to a Permanent Residence Visa under subclass 887 or Employer sponsorship under Regional Sponsored Migration Scheme, subclass 187.